What Kind of Fan Are YOU????? It truly doesn’t matter if you are gay or straight or if you are in middle school or a grandmother. It doesn’t matter if you a fangirl or a fanguy. It doesn’t matter if you support Robert, Kristen, Justin, Miley, Lady Gaga, the list could go on and on…but the truth of the matter is that if you are on Twitter and you are seeing this, you fit into one of those categories somewhere. That means that you are a fan of a celebrity. Now the question becomes…what kind of a fan are you? Are you the fan that sits and daydreams about meeting your idol? Do you dream of getting an autograph, a photo? Do you love the celebrity you follow? Most of you would answer yes to that question. How far would you go to see for your favorite celebrity? Would you travel a great distance to be somewhere that they might appear? Would you cross a street to get an autograph? Would you interrupt your idol’s meal to get a picture? Would you approach them in a parking lot or on the street for a photograph? What would you do if your favorite celebrity was in danger? Would you run to their aid? Would you risk your life to protect the person you idolize? What would you do? Did you know that your favorite celebrity IS in danger every day? The focus of your fangirling or fanboying is stalked by dangerous people every day. Not one or two, but by gangs of dangerous people willing to go to almost any length to get a photograph. They call themselves photojournalists. That’s not what I call them. True photo journalists are trained. Many of them have degrees in photo journalism. They have, through history, put themselves in the middle of battle to show the ravages of war. 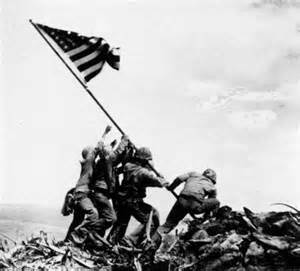 Have you ever seen the picture of the flag being raised by the soldiers at Iwo Jima? That is photojournalism. They have been in the middle of natural disasters, documenting the devastation. They have covered disasters-not so natural- like the bombing in Oklahoma City and 9/11. 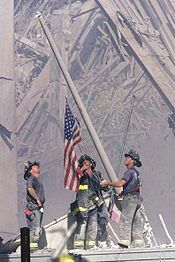 The picture of the firemen raising the flag at Ground Zero in NYC after 9/11 comes to mind. True photo journalists are to be admired. The people that put your favorite celebrities in danger are NOT photo journalists. We have called them paparazzi. Paparazzi traditionally have photographed celebrities. But although the original paparazzi were still looking for that “money shot”, they were often more polite–actually asking if they could take a photo. Somewhere along the line, things have changed. The people that put your favorite celebrity and their children in danger are not photo journalists, they aren’t even paparazzi. They should more appropriately be referred to as “stalkarazzi.” They often travel in groups. They pay people to tell them when a celebrity appears. They do it because it is fairly easy money. They are abusive, they are intrusive, and they are dangerous. Did you know that many of the “stalkarazi” are illegals and they drive new cars without license plates? In California, you can drive a new car for a period of time without a license plate. So when they cause problems in traffic, they can’t be traced. There is also a group that is made up by Brazilians that are here to do Brazilian martial arts and freelance as paparazzi. If they get into any kind of trouble, they just leave the country. Some of the “stalkarazzi” have criminal records and some are members of gangs. Slashing tires and fights are quite common when someone strays into their territory. These people are FAR from photo journalists. Hard as it is to imagine, they are even worse than those who we have come to think of paparazzi. They are dangerous. They will do anything to get a photo. They insult a celebrity in order to get a reaction. An angry celebrity makes more money for them. They take pictures of the children of a celebrity despite being begged by the child in tears to leave them alone. They chase celebrities through traffic, ignoring traffic laws. They have no morals, they have no feelings. They are evil people who are simply in it for the money. Is money a bad thing? No. Everyone needs it. But the money that is being paid by entertainment gossip sites is bringing in a dangerous element. Something needs to be changed. Do you think the “stalkarazzi” are going to do anything to change it? What about the tabloids, do you think they will change it? The only way that this is going to change is if the public stands up and says “enough is enough”. We are the reason this is happening. Our demand for the inside look into the lives of our idols is the reason the tabloids pay the kind of money they pay. And the money is what brings in the “stalkarazzi” element. We can make change happen. But, it won’t happen as long as YOU continue to go to sites. Every time you go to visit a site, you make money for the tabloid. You don’t have to buy a magazine to make money for them. They get money every time you go to click on their site. We have had a princess die because her driver was attempting to evade the paparazzi. A paparazzi has died because he was trying to get the money shot. It is not a matter of if, it is a matter of when. When will another celebrity die? When will an innocent bystander die? When will a fan die? When it does happen (and it will), their blood will be on your hands if you haven’t done something to try to eliminate the problem. If you are not part of the solution, you are part of the problem. I asked you in the beginning of this, what you would do for your favorite celebrity. Are you willing to help and support the celebrity that you say you love? It doesn’t take money. It doesn’t require you to risk your life. All you have to do is join us by boycotting tabs. If we can impress upon the tabs that we will no longer accept their use of “stalkarazzi” photos, we will make a giant leap toward taking the “stalkarazzi” out of the game. By taking the “stalkarazzi” out of the game, we protect the celebrities and their families; the innocent bystanders; and fans; and amazingly enough the “stalkarazzi”. If you are old enough to vote and you live in California, then you can help by voting for the new legislation that is being proposed by the Paparazzi Reform Initiative. THE PLAN is going to sponsor another #tabfreeFriday on Friday, March 29. Join us. Make a difference, even if it is a very small difference. Are you a real fan? Someone who will make a sacrifice for the celebrity you support or are you really just interested in what is in it for you? A real fan will prove it. You can get your avatar here. https://wertheplan.wordpress.com/join-the-plan/ . You only need to use it on Friday. But don’t just use the avatar. Take action. Sign your name and encourage your friends to join us. Quit sitting around daydreaming about the day you might get a follow or an autograph of your favorite celebrity and do something. Maybe they will see what you have done and then some on your dreams will really come true. This entry was posted in Uncategorized and tagged California paparazzi laws, children of celebrities, fans, gossip sites, invasion of privacy, make a difference, paparazzi, paparazzi causing unsafe situations. Bookmark the permalink.